When temperatures start to drop, contact the furnace experts at 7 Services Inc., a Virginia Beach heating company, for annual heating service and maintenance. We’ll inspect the system for signs of wear and tear, prevent costly repairs, and return the furnace to like-new condition. If a furnace is beyond repair, we can install a brand new heating system that fits your indoor comfort needs. 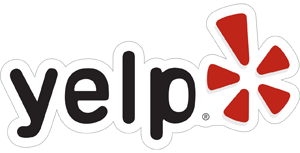 Plus, we offer free estimates on all replacements and 24/7 emergency repair service. Contact the heating experts of Virginia Beach today! As a locally owned and operated air conditioning company in Virginia Beach, we know that the summer heat can reach unbearable levels. The professional air conditioning service at 7 Services Inc., will keep you cool and comfortable all summer long! 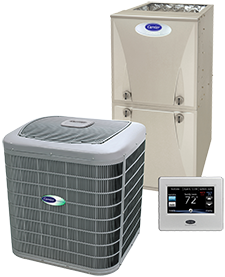 Our company is a Carrier Factory-Authorized Dealer, meaning we sell and install only leading-edge air conditioners, ductless mini splits, cooling systems and replacement parts. In addition to our professional installation service, we also offer seasonal air conditioning maintenance and 24-hour, emergency A/C repair. Contact the professionals at 7 Services Inc. today for expert cooling solutions in Virginia Beach, Chesapeake and Norfolk, VA. Your health, comfort, and energy savings may depend on the quality of your indoor air. Having your HVAC systems cleaned regularly is crucial to maintaining fresh, clean air, but there are several other solutions as well. At 7 Services Inc., we provide expert advice and products for improving the quality of your air. You’ll breathe easier and could even save money on your energy bills. Visit the page below to find out how we can help you today! Modern, high-efficiency heat pump systems provide a range of benefits for your indoor comfort. The heating specialists at 7 Services Inc. have the knowledge and on-the-job experience to accurately and efficiently install, repair and maintain your heat pump. Contact the professional team at 7 Services Inc. for heat pump and heating services in Virginia Beach, Chesapeake and Norfolk, VA.
"7 Services is a great company. (William) has been there for my family many times and has been there for friends too. I trust this man and his company!" "Always professional, on time and thorough. Often recommend to friends in need of service. Very grateful to have found this company several years ago." "Exceptionally responsive, technically proficient and very reasonably priced. Would recommend to anyone needing A/C or heating work!" 7 Services Inc. is the name you can count on throughout Chesapeake, Virginia Beach, Norfolk, Portsmouth, VA for all of your heating and air conditioning needs. Whether you’re looking for heat pump, air conditioning, furnace, or AC air condition repair installation, replacement, repair, or preventative maintenance, our NATE-certified team of technicians provide solutions you can rely on, year after year. 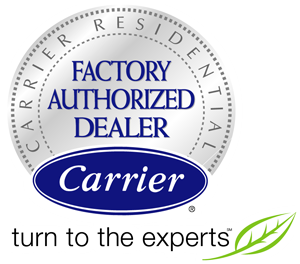 As a Carrier Factory Authorized Dealer, we are consistently held to strict business, technical, and customer service standards, ensuring unmatched quality in products and workmanship. Our servicemen take part in ongoing factory training, honing their skills and remaining updated with cutting edge industry developments. When you contact 7 Services Inc., know a proficient and dedicated professional is always ready to respond. While no one is happy to call for repairs, 7 Services Inc. makes the process as simple and painless as possible. By going out of our way to deliver timely, affordable, and courteous heating and Air Condition Repair, we minimize stress and inconvenience. It is our goal to be the last HVAC contractor you’ll ever need, and we earn your satisfaction by handling every aspect of service with an unwavering commitment to excellence. No work will be started until you’ve been provided with and have approved an accurate estimate. We keep you completely informed, offer cost-effective recommendations, and the repair is guaranteed. Have confidence that 7 Services Inc. protects your best interests with solutions that hold up against time, use, and weather, free estimates on replacement systems. Our licensed technicians are never more than a phone call away. Get the most out of your HVAC system and enjoy healthy, clean air with our expert heating and cooling solutions! When it’s time to invest in a new heating or cooling system, let the team from 7 Services Inc. put comfort and convenience right at your fingertips. Through the installation of state-of-the-art HVAC systems in a wide range of styles, sizes, and ENERGY STAR qualified models, we open up a whole new world of enjoyment. Precise temperature control is just the beginning. You determine humidity, air quality, ventilation, and fan speeds, and the system adapts to operate at optimum efficiency levels. Trust your comfort to 7 Services Inc., and you’ll benefit from the best pricing, timely completion, accurate installation, and energy savings that recover your investment. We also make sure your system meets your satisfaction, year after year, through preventative maintenance. From installation, upgrades, and retrofits, to Air Condition Repair, Emergency Service, and seasonal upkeep, 7 Services Inc. not only does it all, we do it right!